Ideas and Design is a curricular home for graduate courses that aim to understand social, ethical, and political issues as they relate to architecture. Courses offered through Ideas and Design place emphasis on the discipline and the profession of Architecture as a form of cultural practice that participates in the public sphere and in doing so, has the opportunity to perpetuate or actively transform existing notions of social justice, collective identities, or cultural and political inclusion. 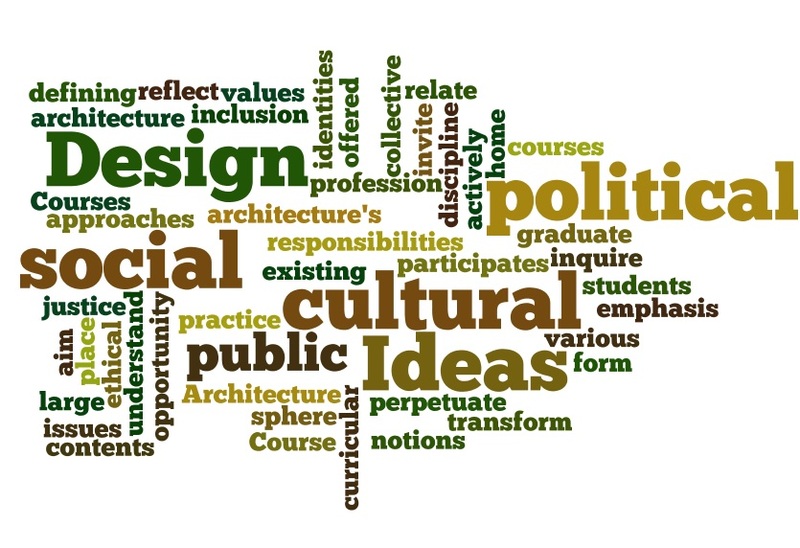 Course contents in Ideas and Design invite students to inquire into, and to reflect upon, various approaches to defining cultural, social, and political values, and on architecture's responsibilities to the public at large.